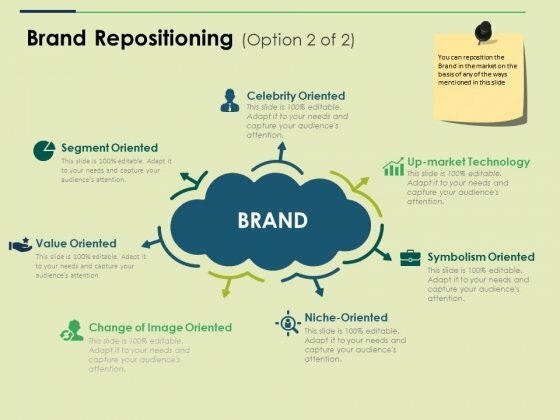 This is a brand repositioning template 2 ppt powerpoint presentation professional ideas. This is a seven stage process. The stages in this process are segment oriented, symbolism oriented, value oriented, celebrity oriented, change of image oriented. Our Brand Repositioning Template 2 Ppt PowerPoint Presentation Professional Ideas provide many a facility. They assist in the assimilation of your ideas. This is a Company Agenda Diagram Ppt Background Template. This is a seven stage process. The stages in this process are introduction, our services, mission and vision, project portfolio, concept, products, target. 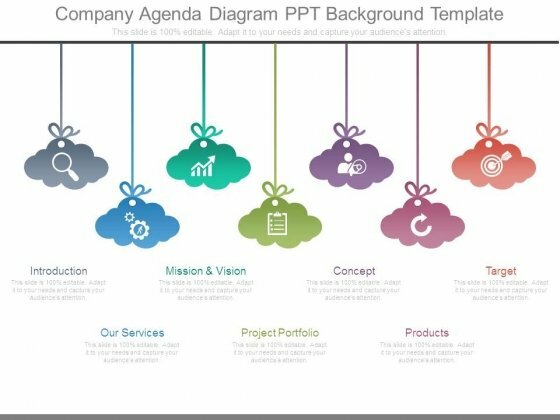 Make them feel up to it with our Company Agenda Diagram Ppt Background Template. Assure them with your words. 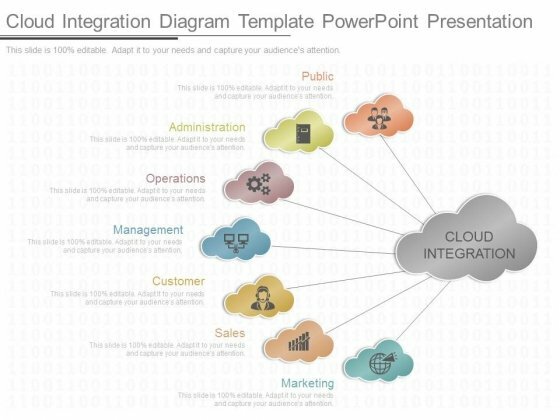 This is a cloud integration diagram template powerpoint presentation. This is a seven stage process. 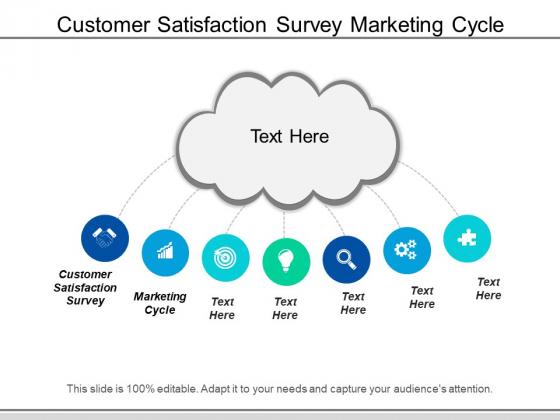 The stages in this process are public, administration, operations, management, customer, sales, marketing, cloud integration. Clear bottlenecks with our Cloud Integration Diagram Template Powerpoint Presentation. Get past any obstacle in your way. This is a hierarchy of data models sample diagram powerpoint themes. This is a seven stage process. The stages in this process are company, department1, department2, department3, suppliers, employee, projects. 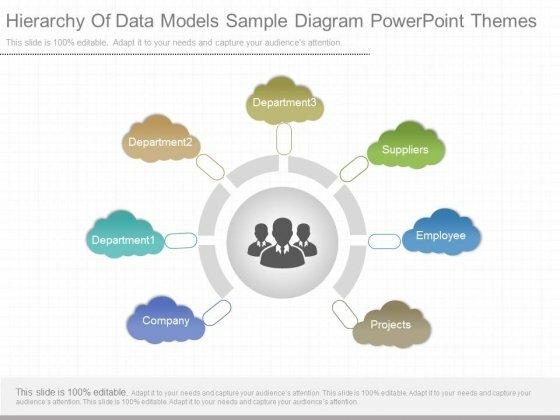 Begin your endeavour with our Hierarchy Of Data Models Sample Diagram Powerpoint Themes. You will never make a false start.